I was fortunate to visit Europe in the summer of 2017 for the very first time. One of my favorite stops was Spain, and while I was wandering the streets of Barcelona and later the mountains of Montserrat, as an angler, I couldn't help but wonder what the fishing opporutnities were like. Fly fishing trips to Spain are becoming popular. 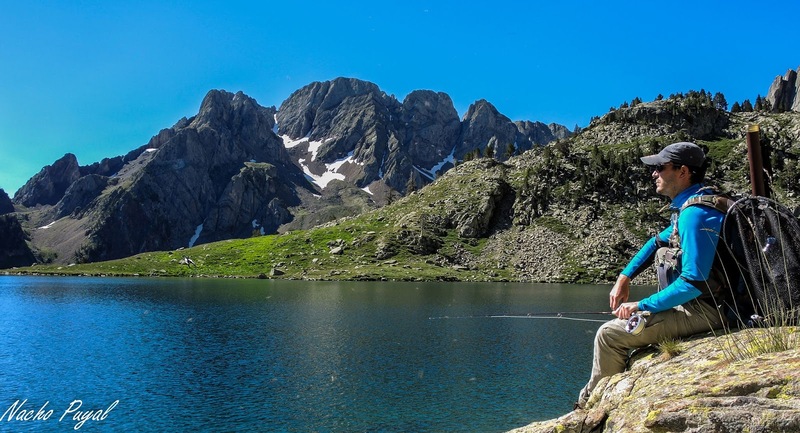 The beauty of the Spanish Pyrenees together with its climate, gastronomy, culture, and excellent fishing make this a dream destination for both angler and non-anglers alike. We are many fishermen who would like to be able to spend our vacations with our family, friends, and of course with the enjoyment of fly fishing. If that is your wish, Spain is the perfect destination! We have all heard of Spain as a destination of sun, beach, gastronomy, culture, with excellent communications, medical services, and security... but have you heard of its rivers, trout, and mountains? The Pyrenees is a mountain range of more than 400 km in length and with peaks of more than 3000 meters that divides Spain from France. On the sunny side of the Pyrenees (Spanish side), there are many possibilities for fly fishing: brave high mountain streams, almost virgin lakes near the top of the mountains, valley rivers with large trout and barbel. Zebra Trout, Brook Trout, Barbel and Much More! One of the most coveted fish by foreign fishermen who visit its waters are the mysterious Zebra trout, a variety of brown trout that lives in the rivers of the Mediterranean basin and that are characterized by their two black stripes and great aggressiveness. Equally, the fisherman will be able to enjoy the fishing of brook trout in little known mountain lakes and in some headwaters of certain streams, fishing for big rainbow trout in some low channels, and of the spectacular fishing of the barbel Graellsii with a dry fly closer to the great lakes of the valley bottom. The friendly climate of Spain and the warmth of its waters are a decisive factor that condition salmonids to surface feeding. 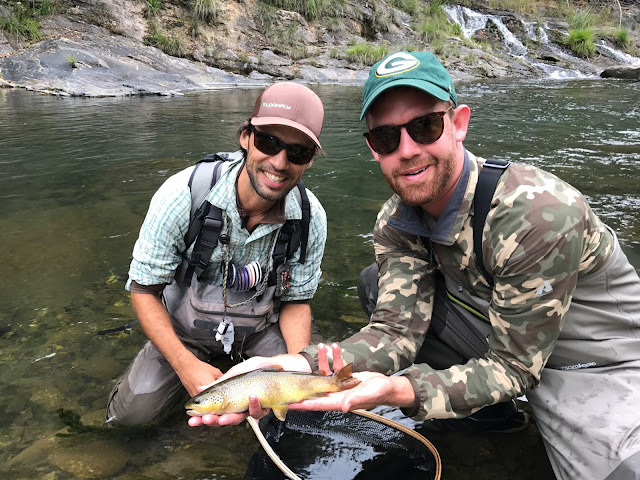 For all these reasons, dry fly fishing is the most effective technique. We also recommend using 9-foot, 5-weight rods for fishing with floating lines and long tippets. How to Organize a Trip in the Company of Non-Anglers? 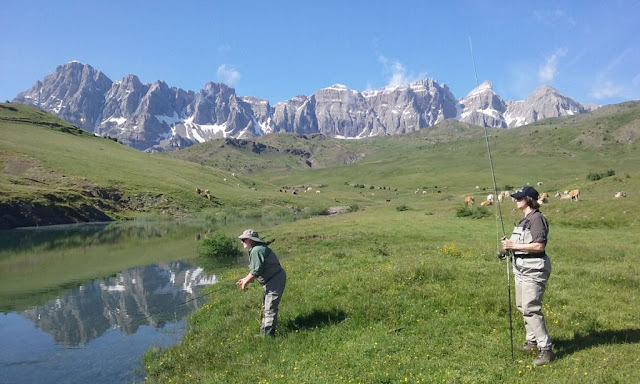 Pyrenees Fly Fishing is a company located in the Pyrenees, near the city of Zaragoza and offers guided fishing trips from two operation centers with multiple activities for non-angling companions. The angler can enjoy fishing days in the hands of local guides who will take you to exclusive places of great beauty and exceptional fishing thanks to their permits to circulate through restricted access trails. The companions can enjoy days designed to measure by team guides in which they can enjoy cultural visits, hiking, wine tourism, and National Parks. I just might have to check this out. Sorry Ralph, blame Ricardo and Adrián, it's all their fault!!! I concur that this looks like a great destination for a fly fisherman. I've been drooling over some of their great looking waters. The true paradise for fly trout fishing is in León (Spain). This province has 3,000 kilometers of trout rivers, both high and medium mountain natural and plains regulated by marshes. They are rivers known worldwide for their beautiful and elusive trout, for their way of fishing on the surface, and for the beauty of the landscape. A greeting. I believe you! I can't wait to get back to Spain! Well Michael I did it. I fished two days with Alejandro from Pyrenees Fly Fishing. The scenery and fishing were incredible. I'll send you pictures from my Flickr site when I get them uploaded. Awesome!!! I can't wait to see them!! !